Americana Farmhouse Style: Incorporating natural wood elements, animal motifs, and fresh flowers refreshes any room. A Lot of Neutral Colors: A neutral palette is making a comeback this season. 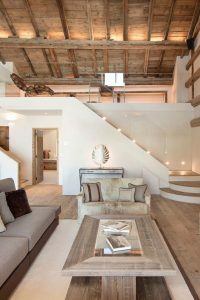 It’s light, airy, and cozy, especially if you are layering the neutrals. 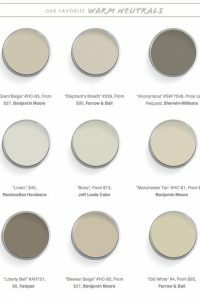 Neutral does not necessarily mean white, but browns, grays, and drawing inspiration from nature will enhance any room. Metallics: Metallics turns a dull space into a glamorous and rich room. You can have metallic light fixtures, knickknacks, furniture, the possibilities are endless with gold, rose gold, bronze, and silver. Accent Walls: An accent wall with bold prints are one of the biggest trends this season and we hope it’s here to stay! 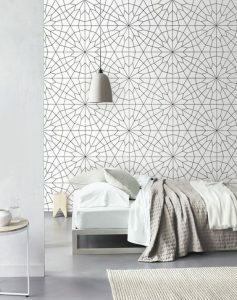 From stencils of geometric prints, floral motifs, or even wallpaper, will definitely add the WOW to your home. 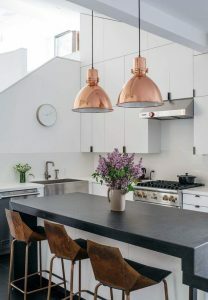 Antique Rugs in the Kitchen: Kitchens are so modern now with the stainless steel everything that balancing modern with antique creates a pleasing impression. 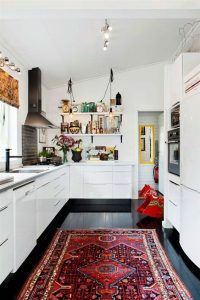 A vintage rug in your modern kitchen adds color and personality. 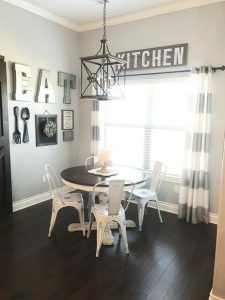 WANT MORE DESIGN TIPS OR LOOKING TO ORDER CUSTOM FURNITURE? VISIT US AT ROCKRIDGE FURNITURE & DESIGN!